Is it just a coincidence that the "Palm" Beach Boat Show falls on the weekend of "Palm" Sunday? Probably, but it is a good way to remember the date. Anyway, there are a few other boating events to tell you about. 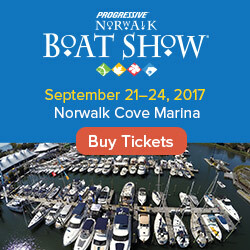 If you live in or near Hampton (Virginia), Moncton (New Brunswick, Canada), or in Vero Beach (Florida), then there is a boat show near you going on this weekend. St. Thomas is the place to be from Friday to Sunday for the oldest regatta in Rolex's portfolio of international sailing events – the International Rolex Regatta. Lastly, there's a new CT boat show to tell you about coming up in June, from the same folks that bring SailFest to New London every summer. Save the date for the first ever Long Island Sound Boaters Expo- June 19, 2010 - Noon To 6 pm. You'll find everything you need to have a great time on the water, including boat accessory vendors, personal water crafts, fishing gear and tackle. There will be a raw bar, lobster boat selling live lobsters, CT DEP boat and NL power squadron. 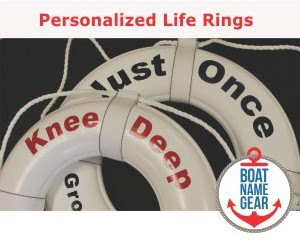 If you go, make sure you look for the BoatNameGear booth where you can pick up some fantastic last minute boating gifts for Father's Day (the day after show). Learn more about these and future boating events on the FirstBoat events calendar.